Back on Monday, we asked our fans if the impending storm would skirt around us like so many do. Well, hindsight is 20-20, and boy, were we wrong. Closures, delays and emergencies have filled the news for the past few days. But as the temperatures start to climb back into positive territory, it’s time to think about getting out and enjoying this new winter wonderland. Ski New Mexico is predicting a beautiful ski weekend with 23 new inches of snow since the storm began at Ski Santa Fe and upwards of 15 inches at Sandia Peak Ski Area. 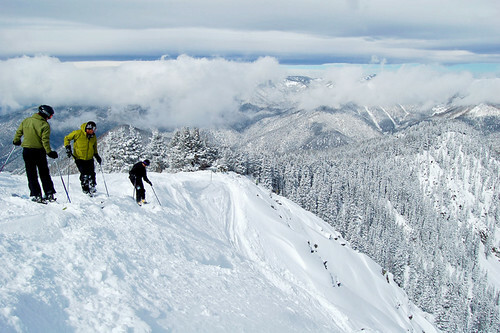 This entry was posted in Local Attraction, Outdoor and tagged ABQCityLife, Albuquerque, APPCityLife, New Mexico, Sandia Peak Ski Area, Santa Fe, Ski New Mexico, Ski Santa Fe. Bookmark the permalink. 1 Response to It’s Powder Time!